Since what you want out of your retirement is a uniquely personal decision, the best retirement destination can also vary from person to person. However, there is no question that some spots around the world are incredibly popular with retirees. Belize, for example, is a top choice for those from North America but also those reeling from the high prices in Europe or Asia. Discover why Belize is such an incredible and beloved retirement destination among retirees from around the world. 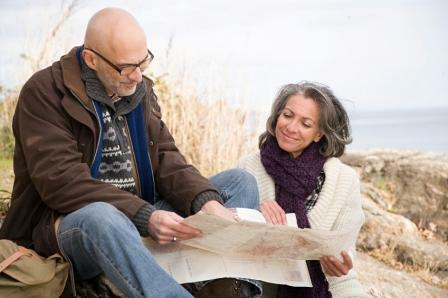 A huge component of deciding on a retirement destination is cost. For that reason alone, Belize comes out on top. Not only is real estate affordable, a major benefit for retirees, but everyday living expenses are also inexpensive. That means you can afford to tee off at golf courses, take guided tours and dine at restaurants without blowing through your retirement budget. Having greater spending power means more indulgences and a higher quality of life, two things that can definitely improve your retirement. Retirees from across the globe often gravitate toward a warm climate. In Belize, that is exactly what you will get. Although there are distinct wet and dry seasons in Belize, you will never have to worry about snow or freezing temperatures. For retirees who want to leave behind the chill of winter, retiring in a warm climate like Belize is the perfect solution. In some affordable global destinations, there is a tradeoff between inexpensive real estate and safety. In Belize, however, that simply isn't the case. Crime rates are low throughout the country, and in developments like the Grand Baymen, crime is virtually nonexistent. Retirees will definitely appreciate how secure their homes are as well as how carefree their lives can be when safety is not an issue. Whether you enjoy late night walks or early morning yoga on the beach, you will always feel secure and have peace of mind. Since retirement is a time of life when daily work and family obligations are usually gone, you will have plenty of free time to pursue new hobbies or develop old interests. In Belize, there is no end to the incredible outdoor recreation opportunities available to you. You could fill your days swimming laps in the outdoor pool, fishing at the marina, taking a guided tour hiking through ancient Mayan ruins, kick back and soak in the sun at the beach, go for a bike ride with friends or just enjoy a drink with your toes in the sand. With so many things to do, see and explore in Belize, retirement will be full of opportunity, and you'll never get the chance to be bored. Although in Belize you can enjoy all the comforts of home, the destination is particularly appealing because it also boasts a unique culture. From the diverse population to the delicious local cuisine to the amazing live music, Belize is a whirlwind of heritage. Retirees from around the world are drawn to the vibrancy, color and excitement of the local culture and all that it has to offer. Whether they are coming from Europe, Asia, North America or elsewhere in Central America, retirees love Belize. Offering an affordable lifestyle, all the comforts of home and incredible weather, it is easy to see why Belize is such a popular retirement destination. Find out more about retiring to the good life in Belize.